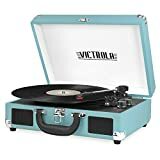 If you are new to the world of records, you are probably excited to purchase your very own record player. 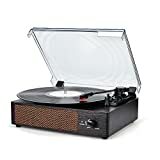 Because of their many different models, styles, and prices – the Crosley record player has become one of the most recognized brand of turntable. Their retro styles, different colors, and broad spectrum of features make them ideal for almost any budget, fashion statement and user. However, the truth about a record player is that the needle will eventually need to be replaced. Regardless of the model you choose, if you use your Crosley record player at all, you need to know the basics for replacing the needle. Below, we discuss the Crosley record player and how to replace your turntable’s needle. 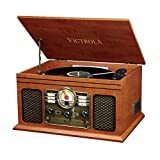 Crosley has been producing record players and radios for quite a while. Decades, in fact. Powell Crosley Jr, the inventor who was responsible for the Crosley record player, actually got his start developing a line of automobile parts during the early twentieth century. To diversify his business portfolio, however, he eventually added an array of other goods to his production line. This include consumer products, appliances and radios. (Ever wonder who produced the first refrigerator with shelves on the door? Powell Crosley Jr did!) As time wore on, Crosley eventually decided to sell off his many business ventures and the Crosley brand name eventually disappeared. However, in 1984, Crosley radios went through a popularity revival. The first of their modern turntables came off the production line in 1992. Since then, the Crosley name has been making a comeback. The Crosley record player has become associated with a line of all-in-one turntables. These record players are available in different models, including the Messenger, Cruiser, Nomad, Traveler, Keepsake, Musician and Snap. 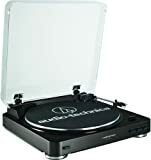 Depending on the model you choose and its included features, these record players typically sell for anywhere between $90 and $600. Crosley record players come in a variety of playable models. Everyone from a beginner to an expert can find a Crosley record player that fits their budget, personal preferences, and intended use. Because of this, Crosley has become known as the brand that brought back vinyl and introduced a new generation to the wonders of the record. A new needle and clean record will produce sound that is considered to be concert quality. There will be little distortion and the sound will be almost as good as if the band were playing in front of you. A needle that needs to be replaced, however, will produce poor sound quality and likely skip. When your needle becomes unusable, your Crosley record player will no longer play music. It is as simple as that. A worn out needle can increase the wear and tear on your records and actually damage them. Therefore, if your needle needs to be replaced, we strongly urge you to do so. After all, damaging your vintage collection of records is not only inconvenient, but it also destroys any resale value had you planned to eventually part with them. It is important to note that Crosley produces many different types of turntables. To compliment these record players, Crosley also produces several different types of needles. At present, Crosley officially offers several different needle replacement cartridges. This includes, but is not limited to, the NP1, NP5, NP6, NP7, NS1 Stack-O-Matic, and Ortofon 5E. Older needle models, like the NP4, can also be found from other vending websites. NP1: Director, Console CD, Traveler, Tech, Revolution, Troubadour. NP4: Producer CD recorder turntable, Director CD recorder turntable, and Keepsake USB turntable. NP6: Lancaster, Player, Executive, Patriarch, Musician and Cruiser. NP7: Keepsake Portable USB turntable. NS1 Stack-O-Matic: First Generation Stack-O-Matic upgrade. As this is only a guide, we recommend you always verify which needle you need with your specific turntable information. To find out which needle your Crosley record player uses, refer to the back of your turntable or the included product manual. You can also call Crosley should these references be unavailable to you. They can also tell you if your older model has an upgraded needle cartridge now available. To remove the old needle, you first need to unclip the tone arm and firmly grasp it. To remove the cartridge, use your thumb nail to gently separate the cartridge from the tone arm head. After separating it from the tone arm, pull down on the front of the cartridge and then pull forward. There may be some slight resistance while removing the cartridge, however, you should be careful not to simply tear the needle off. Gentle but firm pulling should be enough to remove the needle. Place the needle into the tone arm grooves, inserting the back of the cartridge first. To do this, you will have the front of the cartridge, where the needle is located, at a slightly downward angle. Once the back has been installed, simply lift the front and snap the cartridge into place. Crosley record players now come with built-in speakers. (Older models that predate the 1980s, however, may not. However, if you find one of these, let us know! At present, it is believed that earlier models of the Crosley record player have all vanished with time.) While these speakers are of an acceptable quality, they certainly are not high-dollar produces. Some users recommend you buy additional external speakers should you want to listen to your Crosley. After all, poor quality speakers will not be on par with high-end ones no matter how new your record player’s needle is. 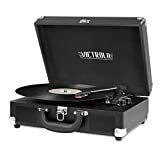 Regardless of the Crosley, or non-Crosley, record player that you chose – a record player is an investment. When you invest in a Crosley record player, you expect quality sound that is easy to play. Paying careful attention to your needle prolongs the life of your records and ensures your sound is the best it can be. With Crosley, replacing that needle takes only seconds with their effortless “snap off, snap on” design.